The water flow sensor measures the magnetic physical by using the hall effect of the hall element. A load resistor is connected to the positive pole of the hall element while a value of 5V is applied. The water flow transducer for flowmeter measures the magnetic physical quantity by using the Hall effect of the Hall element. A load resistor is connected to the positive pole of the hall element while a DC voltage of 5V is applied and the current direction is orthogonal to the direction of the magnetic field. When the water pushes the magnetic rotor through the turbine switch case, a rotating magnetic field of different magnetic poles is generated, and the magnetic induction line is cut to generate high and low pulse levels. Since the frequency of the output pulse signal of the ultrasonic polarized piezo transducers is proportional to the rotational speed of the magnetic rotor, the rotational speed of the rotor is proportional to the water flow rate, and the gas water heater is started according to the magnitude of the water flow. The empirical formula of 1Mhz Pzt piezo ceramic for the pulse signal frequency is shown in the equation.f=8.1q-3(1) where: f—pulse signal frequency, H2 q—water flow, L/min. The value of the water flow is judged by the controller by the feedback signal of the water flow sensor. According to the different models of gas water heaters, the optimal starting flow rate can be selected to achieve ultra low pressure (below 0.02 MPa). The flow measurement range of the ultrasonic flowmeter transducer is relatively large, and can be measured according to the needs of production to meet the needs of different users and different places. The flow test principle of the water flow sensor is to measure the flow rate of several points of the pipeline liquid. 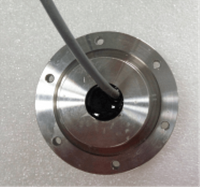 To obtain the liquid flow of the pipeline, the device can determine the number of points to be measured according to the internal structure of the pipeline and the specific conditions encountered during industrial measurement. By measuring the flow velocity of several measured points, the flow velocity distribution in the pipeline is reflected. In the measurement, firstly, the sensor output current signal is measured by a multimeter, and then the differential signal is obtained according to the correspondence between the upper and lower ranges of the differential pressure transmitter and the standard current signal, and finally, the difference between the dynamic pressure and the static pressure and the flow rate are obtained. The calculation formula calculates the flow velocity value at this position, thereby analyzing the liquid flow velocity distribution or determining the flow rate of the liquid. The product of the flow velocity of each measured point and the corresponding concentric circle or ring area is the flow rate of the measured point, and the instantaneous flow rate flowing through the pipeline is calculated by accumulating the flow of each part. This flow is the theoretical average flow rate by water. 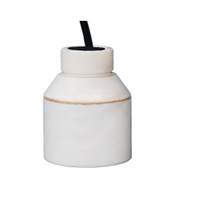 The flow measured by the flow sensor's flow measurement standard device is the actual flow rate. 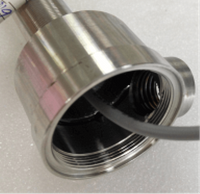 When the flow rate standard measurement device is used to calibrate the set of devices, the ratio of the actual flow rate to the theoretical average flow rate is the flow calibration coefficient of the device. When underwater ultrasonic transducer is adjusting the insertion depth of the probe, several sets of position points are measured, and the data does not conform to the distribution characteristics of the liquid flow velocity of the pipeline, which is different from the measurement law of the previously designed model device. After careful analysis, the adjustment device and the pressure guiding tube are found. 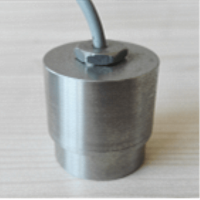 There is a large relative displacement, the actual measurement point position is unchanged, the device is removed from the verification table, the gasket is fixed in the adjustment and tightening position, and the position of the scale and the pressure guiding tube is repositioned. 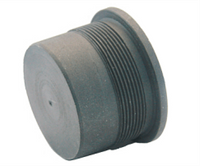 Before adjusting the position of the ultrasonic flow meter sensor, loosely seal the compression nut and ensure that both sides are carried out at the same time. Then adjust the two nuts and keep the position at the same height. After adjusting the position of the probe, press the sealing compression nut. Ensure that the adjustments on both sides are performed at the same time. The adjustment plate is not available during the adjustment process and the attention mark (relative position) should not change.In addition to adopting new technologies and new principles, water flow sensors have also made great progress in the improvement of existing mature measurement technologies. The performance and functions have been greatly improved and played a big role in practical applications.